Ashley Lawson, NC State's 10th Truman Scholar, plans to spend her life empowering people -- especially school-aged children -- to look beyond their circumstances when setting goals for the future. This month Ashley Lawson, a senior math education and mathematics major at NC State, was named the university’s 10th Truman Scholar. The prestigious merit-based award named after Harry S. Truman will provide up to $30,000 to apply toward graduate study. 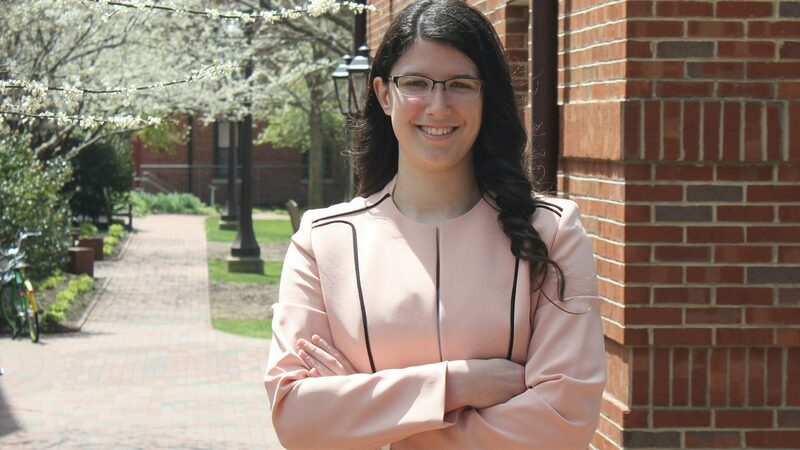 After graduating in December, Ashley plans to teach high school math and plans to use the Truman Scholar to pursue a Ph.D. in a joint program in public administration and development sociology. Below she shares how she came to choose the teaching profession, why she started the nonprofit Meet My Future, and how she wants to help rural communities like her hometown. The following as-told-to is edited from an interview. I’m from Prestonville, North Carolina, an unincorporated town in Stokes County. Most people don’t know where that is, so I tell them I’m from the next town over: Sandy Ridge. My hometown is hurting right now. It’s been classified as a dying county, meaning our death rate is higher than our birth rate and our outgoing population is higher than our incoming population. Our town’s industry is tobacco, and we haven’t figured out how to adapt to the changing demand for that product. Growing up, I attended public schools and experienced really great teachers and really terrible ones. It wasn’t until high school that I became aware of opportunities that weren’t available to me in Prestonville. Some of that stemmed from hearing some of our teachers say that if we went to college, we would be far behind where everyone else was academically. They saw what we didn’t have access to in the classroom compared to what students in other counties in the state. Chancellor Woodson and @NCState_FAO surprised @NCStateCED and @NCStateSciences student Ashley Lawson with some big news this week — she’s been selected as a @TrumanApp Scholarship recipient! By my sophomore year, I had become angry about it. I decided when I left the area for college it would be for good. When I heard I got accepted into NC State’s Parks Scholar program, I thought I had found my way out. I came to NC State to be a mechanical engineer. During our Park Scholar freshman retreat, I shared with our director [Eva Feucht] about the challenges my hometown faced: how I didn’t have access to the same opportunities as my peers, the businesses that weren’t there, and the general sense of hopelessness that surrounds the area. I laughed and told her, “ Not Really.” That wasn’t my plan; I wanted to be a roller coaster engineer. But that conversation stayed with me for months. The longer I stayed in engineering, the more I realized I love working with people and helping them realize their potential. Part of that led me back home to help someone from my high school with her Park Scholars application. As I sat there giving her feedback on how to tell her story and talk about what she’s accomplished in the context of the opportunities in our town, I knew I was in the wrong field. I loved engineering. But education was my passion. I joined the College of Education as a math education major shortly after. I started doing research with Dr. DeLeon Gray [an assistant professor of educational psychology] and with his SMART Collaborative. 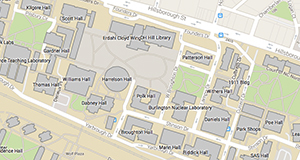 I realized that a lot of research is done near universities, which is typically a city or suburb. I wondered how the research would apply to the kids I would teach if I moved back home. Would I need to adapt the research? Would my students even understand the context? Would we even have any funding to support applying research? A year ago, Ashley Lawson launched a program for rural elementary, middle and high schools called Meet My Future. Most children in rural communities only know what their parents and community members do for work. Meet My Future brings in professionals from many industries to talk to students about the industries they are in with the ultimate goal being to inspire rural kids to build a vision and plan for the future they want for themselves. At the time I was against it. How was a girl from the middle of nowhere going to accomplish something big enough to make a difference? I thought back to the confidence barriers I faced in high school. I realized my former teachers weren’t necessarily discouraging us.They were just telling us the reality. Unless somebody of influence actually cared about our challenges, people in our community would continue to have very few opportunities. Reality is important, but students also need hope. That’s where the idea for Meet My Future came from. Kids from rural areas will face challenges, but they have to know they can overcome them. My junior year, I took a course on world populations and food prospects [ that Alumni Distinguished Professor of Crop Science Bob Patterson taught]. One of our assignments was to write a grant proposal for something we were passionate about. I took that as an opportunity to write a real grant proposal. I submitted 25 pages about my plans for Meet My Future and asked for specific feedback to improve it so I can submit it for actual funding. I also reached out to the elementary school I attended Sandy Ridge Elementary School to implement the first version of it there. Right now, it’s in their fourth and fifth grade curriculum. We encourage those students to build a vision and we give them access to knowledge so they can decide the type of life they want to lead rather than letting life just happen to them. We try to educate them on things outside of the communities, close to their communities and opportunities that exist within their communities. Help other students within the College of Education have life-changing experiences like Ashley Lawson '18. Your financial support today will directly benefit students within the college. Gifts, for example, support the kinds of leadership development experiences, mentorships, and experiential learning and research opportunities that have prepared Ashley to empower others. Your gift today will also count toward the College of Education Board’s $90,000 Challenge. 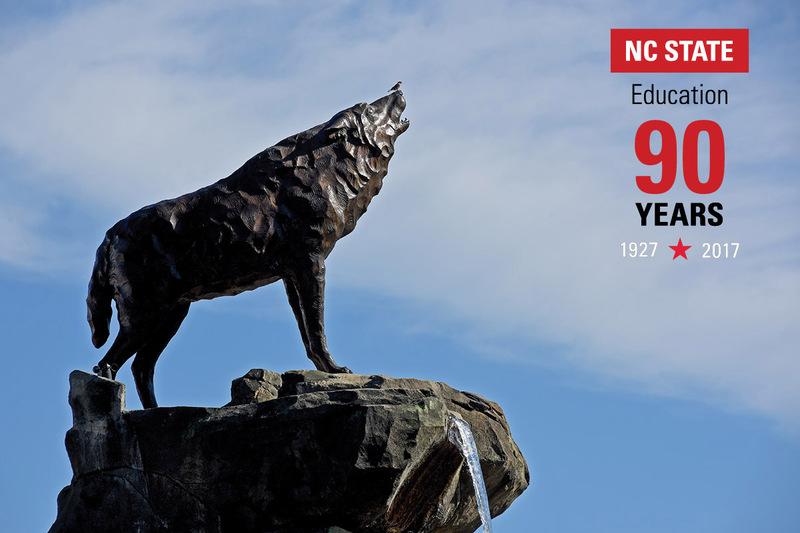 The board will give the college $90,000 if at least 900 donors make a gift this academic year in honor of 90 Years of NC State Education.